Providing you the best range of zlx 12 passive speaker, zlx 15 passive speaker, zlx 12p powered speaker, zlx 15p powered speaker and live x, zlx and zxa1 covers with effective & timely delivery. We have full devout in supplying and trading high-quality ZLX 12 Passive Speaker. Our offered speakers are widely appreciated for unbeatable sound quality and scratch-proof design. The procurement is done from reliable vendors, these speakers are manufactured in compliance with latest industrial norms with the use of modern age technology. Furthermore, these speakers are offered to clients at many affordable rates in defect proof packaging. High-efficiency Class D power amplifier delivers peak SPL on the EKX-12P via high-sensitivity transducers designed and engineered by EV. Lightweight, compact wood enclosure with internal bracing, durable EVCoat finish, eight M10 threaded mounting points, aluminium pole mounts, and all-metal handles. Our firm is involved in manufacturing and supplying a huge range of ZLX 15 Passive Speaker. High-efficiency Class D power amplifier delivers up to 134 dB peak SPL on the EKX-15P via high-sensitivity transducers designed and engineered by EV. 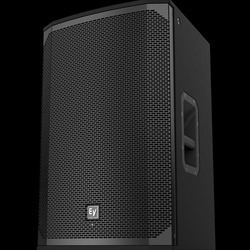 Our firm is involved in manufacturing and supplying a huge range of ZLX 12P Powered Speaker. EKX-12: peak SPL utilizing high-sensitivity transducers designed and engineered by EV. 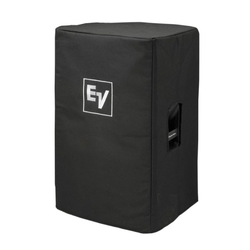 Lightweight, compact wood enclosure with internal bracing, and durable EVCoat finish. Eight M10 threaded mounting points, aluminium pole mounts, and all-metal handles. 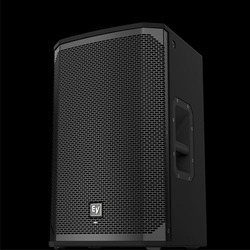 Our firm is involved in manufacturing and supplying a huge range of ZLX 15P Powered Speaker. Our firm offers a high-quality range of Live X, ZLX and ZXA1 Covers.